Gluten-free oats, organic chocolate chips (cane sugar, cocoa liquor, cocoa butter, vanilla), sunflower oil, cane sugar, agave nectar, apples*, whole grain crisp brown rice, agave inulin, tapioca flour, vegetable powder (spinach, broccoli, carrots, tomatoes, beets, shiitake mushrooms), chocolate flavour, vanilla flavour. *ORGANIC. MADE GOOD uses pure, cold pressed high oleic sunflower oil. The whole grains used are pure organic big flake oats and brown rice crisps. MadeGood organic chocolate chip granola minis are perfect school safe snack for all ages. Includes both fruits and vegetable intake. 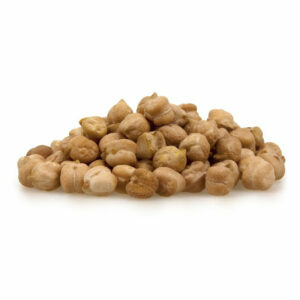 Nutritional Profile: Rich in Vitamin B6, vitamin D, E , C, A and Thiamine. Health benefits: Being one of the main ingredients, whole grains contain disease-fighting phytochemicals and antioxidants.